Verizon Wireless subscribers should stop waiting for the Nexus One and buy a Droid Incredible instead, Google says. "In the US, if you've been waiting for the Nexus One for Verizon Wireless' network, head over to [Verizon] to pre-order the Droid Incredible by HTC, a powerful new Android phone and a cousin of the Nexus One that is similarly feature-packed," says the Nexus One blog. The phone's online order page has a similar recommendation. The order page previously promised a Verizon Nexus One in the Spring, and suggested a Motorola Droid to those who couldn't wait. There's no longer any word on when the Nexus One will come to Verizon, if ever. This isn't terrible news considering that the Droid Incredible is an excellent Android phone, scoring 4.5 stars in PCWorld's review. All of its tech specs either match or surpass the Nexus One, most notably the 8-megapixel camera and 8GB of internal storage. The major difference is HTC's Sense user interface, but even that's generally regarded as superior to the Nexus One's plain version of Android 2.1. Google's endorsement of the Droid Incredible comes as the company ditches its online-only sales plan for the Nexus One in Europe, where Vodafone will sell the smartphone in retail stores. Vodafone owns part of Verizon Wireless in a joint venture with Verizon Communications, but it now seems unlikely that the Nexus One will have the same future with both carriers. 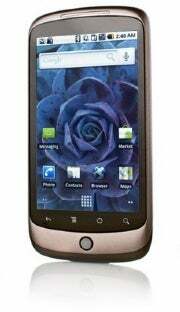 The Nexus One is currently sold for $179 with a two-year T-Mobile contract. You can also buy the phone unlocked for either AT&T or T-Mobile for $529. Sprint, which uses the same CDMA standard as Verizon, announced in March that it will get the Nexus One, but there's no mention of that on the phone's order page.